The High Chaparral Reunion rate is now available for March 19-23, 2014! 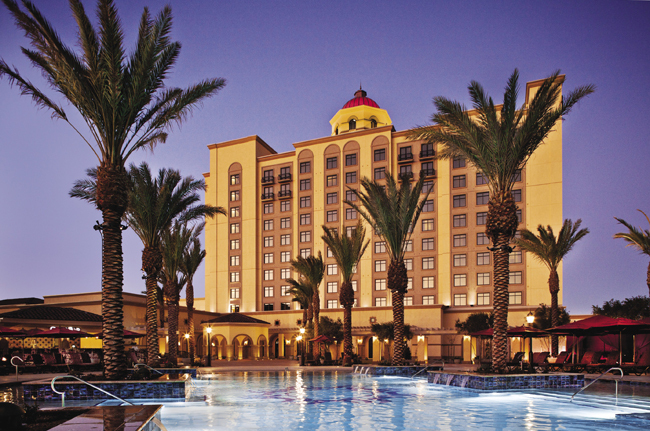 Once you've made your Reunion reservations at www.thehighchaparralreunion.com you can reserve your room at Casino del Sol. Check the hotel page on the Reunion website for info on reserving at the special Reunion rate. 47 fans have already booked their dream trip to Tucson and The High Chaparral - don't miss your seat! The following letter was originally sent to members of the Mark Slade Fan club for their newsletter. Thank you to Kathy Lewis, Michele Simmons, and of course Mark Slade for providing it to the Newsletter. Both my wife, Melinda, and I were saddened to hear that Cameron Mitchell has passed away. During the time I worked with Cam on the series, we both grew quite fond of him. Although we have not had much contact with Cam since the series ended, our memories of that time together are still quite vivid. I remember a few instances that were typically “Cameron Mitchell” that I’d like to share with you. Cam was an avid … no … fanatical golfer. His garage was lined with hundreds of golf clubs that he’d collected over the years. If he played with a golfer who hit a particularly god drive, Cam would buy the club from him. Thinking, of course, if the man could hit a good drive with the club, it would certainly work for him. One day, while filming in Old Tucson, Cam finished early and got into his car, still dressed in his black Uncle Buck costume. I finished about an hour later. While driving back toward town, I passed one of the local golf courses and noticed something strange. Thereon a green next to the highway, were five golfers. One of them was putting. He was dressed in a black frontier cowboy costume. It was Cam. He’d pulled off the road and “joined’ a foursome already in progress. One of Melinda’s favorite memories about Cam is his “garlic period.” Cameron had heard that eating garlic was supposed to clean out your system and help purify your blood. Not one to do anything in moderation, Cam took to eating entire bulbs of raw garlic. His costume was made of heavy black velveteen and, consequently, under the hot Tucson sun, absorbed all the garlic aroma as Cam perspired. “I can smell garlic! Cam must be here!” was the phrase of the day. Once, during this phase, Cam’s wife flew in for a visit. All we heard the next day was that she’d made Cameron sleep in a separate motel room. 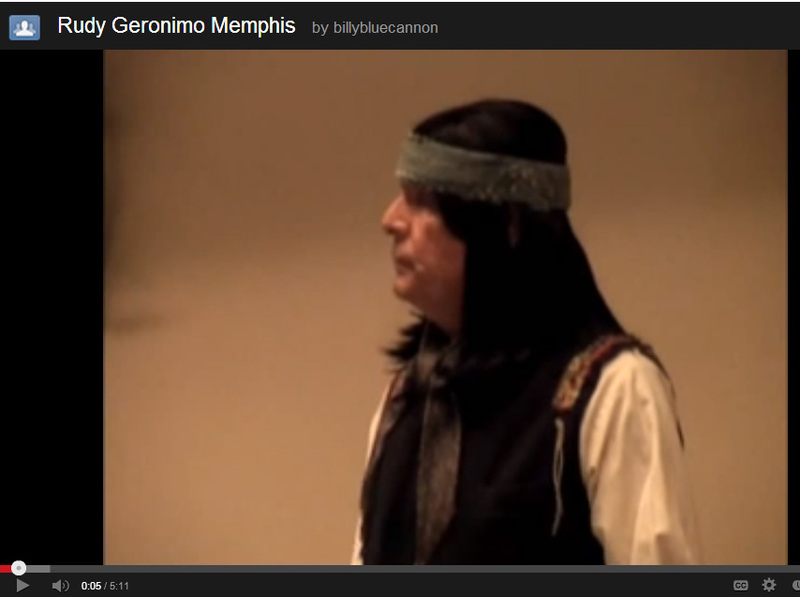 Rudy Ramos presented a second reading of Geronimo, Life on the Reservation at the Memphis Film Festival this month. Those present are still talking about the impact of Rudy's characterization. The Geronimo costume was provide by Luster Bayless. 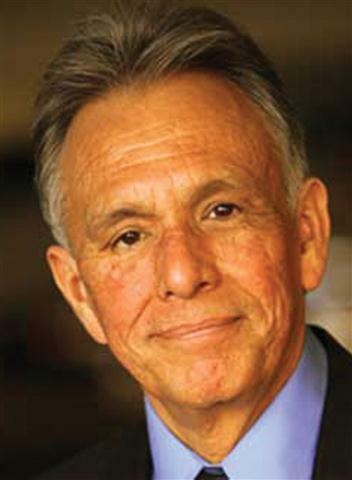 Luster began his career in wardrobe at Western Costume and founded United American Costume Company. His talent caught the attention of movie icon John Wayne. Luster served as John Wayne’s personal costumer for more than a dozen films, working with the Duke through his last movie, The Shootest. Luster has worked with directors John Ford, Howard Hawks, and Francis Ford Copolla. From Steve McQueen to Brad Pitt, the Emmy winner has dressed them all, including movies Back to the Future, Sea Biscuit, Legends of the Fall, Titanic, The Twilight Saga: New Moon, Apocalypse Now, and the miniseries, Lonesome Dove. 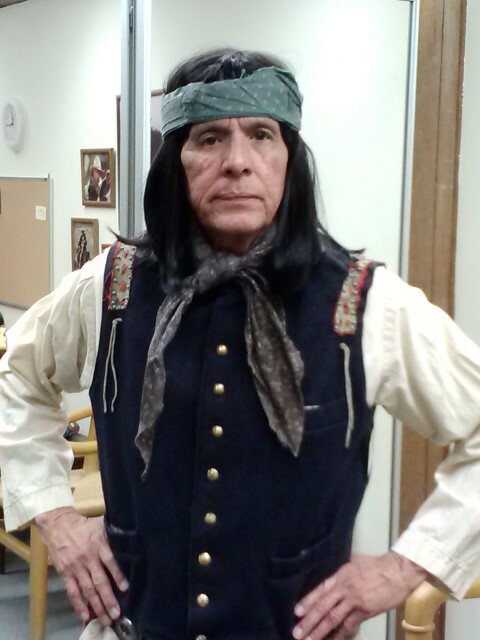 Geronimo, Life on the Reservation, written by Janelle Meraz Hooper and starring Rudy Ramos will premiere at the 2014 High Chaparral Reunion in Tucson. The Reunion is proud to feature this premiere event. Do you know what all these titles have in common: Blue’s Theme, Ridin The Trail, I Love You Manolito, Montoya’s Theme, Victoria, Mr. Cannon, Little Thieves and Cantina just to name a few? They are all the names of music from the classic television western The High Chaparral, and all are by Academy award winning composer Harry Sukman. Now you as a High Chaparral fan will be able to own this music as a part of a production by Susan Sukman McCray entitled The High Chaparral Suite. The Suite has been performed by many symphony orchestras and for the first time it will be available to fans of The High Chaparral exclusively at the 2014 Reunion when purchasing Harry’s Piano. 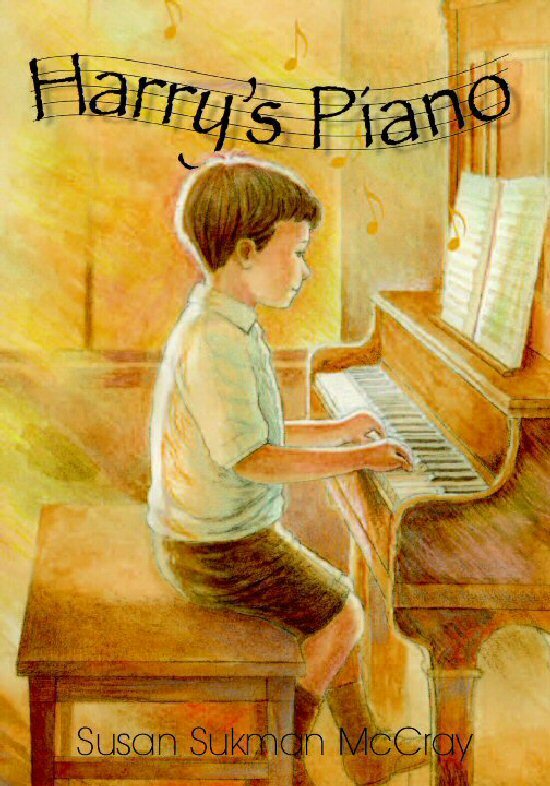 Harry’s Piano is the children’s book authored by Susan McCray about the young life of her father Harry Sukman. Susan will hold a book signing for Harry’s Piano at the 2014 High Chaparral Reunion in Tucson. In addition to The High Chaparral Suite the CD included with Harry's Piano includes two musical selections composed and performed by Harry Sukman. If you aren't on Facebook you missed this great comment (and many others) from Kiva Lawrence Hoy, wife of our beloved Bobby Hoy who played ranch hand Joe Butler. "Penny knows the "behind the scenes" more than anyone. Bobby Hoy also respected Mark's "privacy". CHOICE. 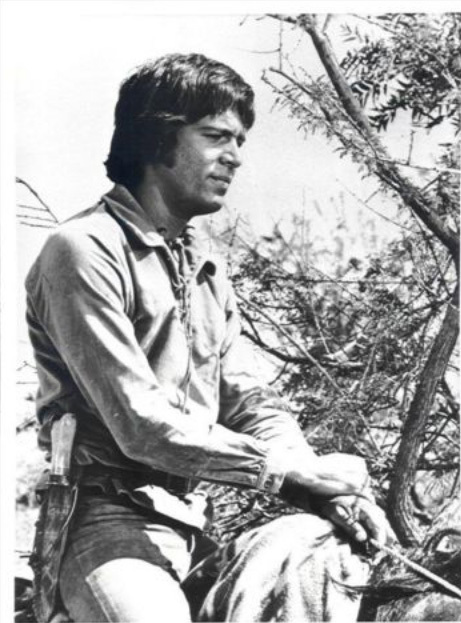 EACH cast/crew member respected Mark and loved working with him on High Chaparral. Oh, yes there are exciting stories about the expected "next season" of High Chaparral!!! Bobby was called into David Dortort's office and was told by David personally, that the next season would include a story-line about Bobby's character "Joe". (I believe a well-deserved-evolution of the "Butler Brothers" & Bunkhouse-importance to the audience of High Chaparral.) Please remember to query Kent McCray next re-union about the events that cancelled the series. It had NOHING to do with the character of Blue leaving the show! It is fascinating...and a "sign of the times." Thank you, Penny...for your patience and sharing your insider-info!!!! We ALL love it.....and you." Lately we've had conversations with Susan Sukman McCray, Don Collier (ranch foreman Sam Butler), Kiva, and Linda Cristal (Victoria) has her own Facebook page where she posts comments and answers to fans via her son Jordan. Rudy Ramos (Wind) answers questions too. Don't miss the action. LIKE The High Chaparral Reunion on Facebook. Stop in, click LIKE and watch for HC Ranch Foreman Don Collier's comments on posts, and Susan Sukman McCray's visits, and Kiva Hoy's comments. Fans on Facebook are obsessed...with High Chaparral and a little vase. Your Newsletter editor Penny McQueen has a few genuine High Chaparral props that were issued to be used on the set during filming. When she shared photos of some of these with fans on Facebook it started a scavenger hunt. Now everyone is scanning shelves, tables, items in saloons and cantinas looking for this obscure piece of set decoration. There's no guarantee it didn't end up on the cutting room floor but fans are still looking. Can YOU find the mystery vase? The Cowboy Way by By Mike Axsom. Second place: The Men of The High Chaparral by Marianne Rittner Holmes. Third place: The Legacy by Liz Baclayon. Congratulations to these talented writers and ALL the talented fans who were brave enough to write, enter and participate. It was great fun and we appreciate each one of you! Don will be recording the winning entries soon so stay tuned, you'll be able to get a CD of these great compositions plus a few more goodies. 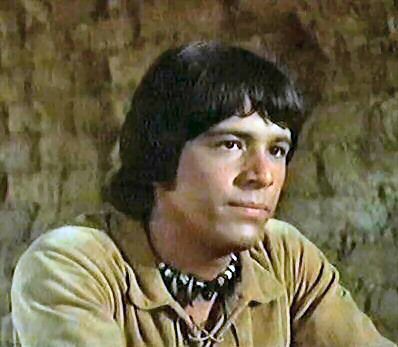 Recently on the High Chaparral Facebook Group page we had a question and answer session with Rudy Ramos (Wind). Here are some of the details about Rudy the fans asked and his always straightforward answers. Question: If High Chaparral had continued on how did you think the character of Wind would have progressed? Was there a storyline in the works that Buck was Wind’s father? Answer: "Yes, there was a storyline in the works that would reveal Buck was Wind's father. Cameron told me that. It would have been revealed in the next season and there were all kinds of storyline possibilities because of that. Also, had Mark Slade signed on for another year there would have been just as many storylines about Blue and Wind. Remember, I did not replace Mark. I was added to the show because they wanted to get younger, not to replace the character of Blue Boy. When the script for Wind was written it was not known that Mark would not be back. Those negotiations had not happened yet. It would have been fun because as you know, Mark and I worked together in an episode of the TV show Paris with James Earl Jones. We got along great!! He's really a good guy." Question: Do you prefer to play good guys or bad guys? Answer: "I prefer playing bad guys. I've always worked more in movies and TV when I was playing bad guys. Even though they are usually written one-dimensional and one color I have always been able to bring some like-ability to all my bad guys even if it is just for a second. The audience will see it and then it gets that bad guy I knew color and makes you wonder what happened to make him bad. I hope this answers the question." Question: What is your favorite song from your album Hard Knocks and Bad Times? Answer: "I Was Amazed and You Can See it in My Eyes. I loved the songs and I liked my vocal performance." Question: You seemed pretty confident on a horse. Had you ridden much before High Chaparral? Who was your double and how much of your own riding did you do? Answer: "Yes, I had done some riding but nothing formal. Most of my stuff was just coming into the camera at a gallop. Jerry Wills did all of the fast stuff across the desert at breakneck speed. Jerry was a good friend and made my character look great. 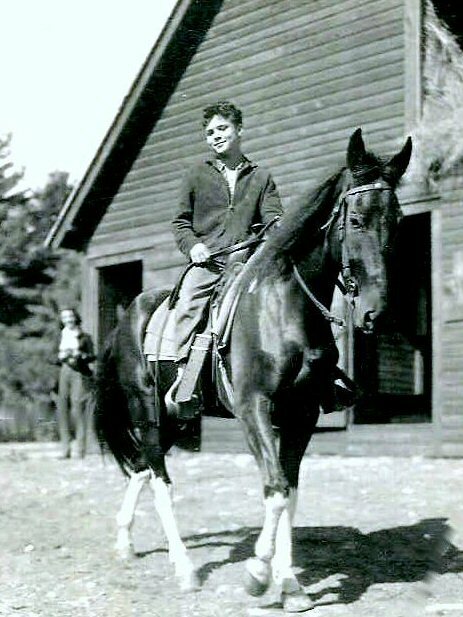 A few years before he passed away we rode together again in the Dr. Quinn Medicine Woman movie. That fast riding chasing a wagon I did do with Jerry right by my side. He played one of my soldiers and I was the captain of the Mexican army in the 1800's. I didn't really want to do that ride but Jerry talked me into it. He kept telling me "you can do this, Rudy, you can do this", so I did it. It looked good on film but I would just as soon leave that kind of stuff to the stunt people. They are very good at what they do. I don't tell them how to do their stunts and they don't tell me how to act. I've always had great relationships with my stunt doubles in television and in the movies. " Question: What was your horse’s name? Answer: "I had two, maybe three horses. One that was very quiet for closeups. One for the fast ride across the desert. And one for slow walks while I was doing dialog. The one that did the closeups had a while spot on his forehead so they would dye it black. All the magic of television." Question: How did you get interested in doing play about Geronimo? Answer: I was born and raised in Lawton, Oklahoma, which borders Fort Still and that is where Geronimo spent the last 23 years of his life as a P.O.W. He was one of my two boyhood idols. The other was Mickey Mantel the baseball player, who was also from Oklahoma. Michael Martin Murphey, the song writer of “Wildfire”, and I had a conversation about Geronimo about 25 years ago. He told me that should write a one-man show about Geronimo and that I should play him. That is how long I have carried this idea in my head. Now it is about to become a reality. Not only did Michael Martin Murphey have a hit song with “Wildfire”, which was about a horse, he also had a hit song title “Geronimo’s Cadillac”!! Question: Will you be touring with your play Geronimo? Answer: As for touring with Geronimo I plan to travel with it across the southwest after the premiere in Tucson at the High Chaparral Reunion. Arizona, New Mexico, Oklahoma, and Texas for a start. Where I am invited and welcome is where I will go. This will be a word of mouth project and show. There will be no budget for advertising and I don’t want to do that anyway. I want an audience that is interested in Geronimo and an audience that is interested in me. One warm dusty March day, a gang of more than fifteen of Arizona territory’s meanest and most wanted bandits and murderers rode into Tucson to rob the fifty thousand Dollar gold shipment guarded by three Pinkerton Agents and several Deputies. The bandits quickly gunned down the guards before taking position at the stage depot to fend off the attack by the remaining lawmen. One Deputy was taken hostage as a way to escape with the gold. All of this was put to an end when Judge “Black Jack” Young stepped in and assisted Marshal Kimo Owens by blowing all the robbers, and half the stage depot, into Kingdom Come with the town square cannon. Don’t remember this battle? Think it never happened? 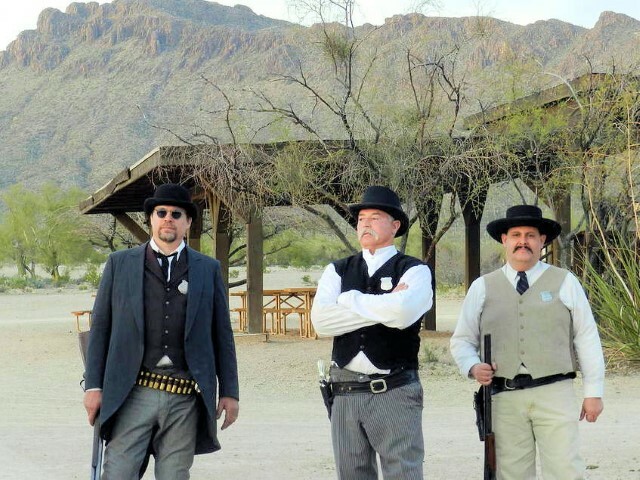 Well it did on March, 16th, 2013 at Old Tucson Movie Studio’s ‘The Reunion – 50 Years of Gunfighters’ event. Fifty former Old Tucson stunt people, yes women too, assembled from all over America to put on one of the biggest live gunfight shows ever held. 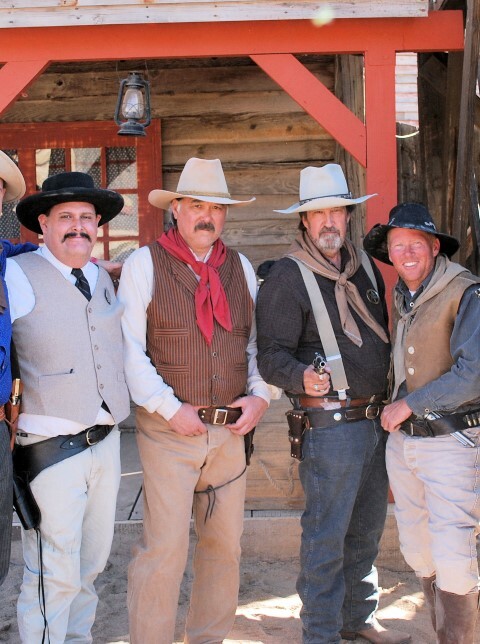 Old Tucson’s gunfighter history began when Robert Shelton, former President and founder of the studio, hired famous stuntman Jack Young in 1963 to create street shows and recruit & train new stuntmen to perform those shows for the tourists. Jack had already made himself a name doing stunts for movies like “High Noon”, “The Searchers”, “How the West Was Won”, and many more. He might be best known for doubling Jack Palance in “Shane” and took the shot reaction for Palance when Shane shoots him in the end. Young’s taped shows were in use up to the 1990’s when a change in management wrote new shows. His techniques are still used to this day. In mid October 2012, former stuntmen Dennis Leoni and Richard Wenz who were part of the crew in the mid 1970’s, had met up again on the Old Tucson Alumni Face Book page. After a few posts they joked about going out on the Old Tucson streets for one more show. Dozens of other alumni members on the page saw the comment and quickly posted that they were excited for the opportunity and would be up for performing. Leoni and Wenz quickly agreed and made the proposal to Old Tucson CEO, Pete Mangelsdorf who gave the nod that set the wheels in motion. The date was picked, and all former stunt folks that were interested, could join in on the fun. Wenz came up with the Gold Robbery story idea and Leoni set out to write a special script that could incorporate some fifty players (Dennis Leoni is a writer, producer, and director in Hollywood, so the script was destined to be top-notch. Henry Darrow and Rudy Ramos both were in his show “Resurrection Blvd” ). Leoni and Wenz made a special effort at finding Jack Young, now 86 years old, to encourage him to participate in the show. Jack made it clear that he was excited to do it, but certainly couldn’t be falling off any rooftops. Leoni wrote a central character for him ‘Judge Jack Young’. Jack had the opening and closing lines of the show. A month before the show, they met with a few of the local Tucson alumni to lay out the show with Old Tucson Entertainment Director and Stunt Coordinator Rob Jensen, to get an idea of how this was going to work. I arrived in Tucson early on Friday, March 15, the day before the actual show. The first practice was three in the afternoon until seven at night. All went well and we all got to see some friends that we hadn’t seen in many years. I was very happy to be a Pinkerton Guard with two great stuntmen I worked with in the eighties, Grant Wheeler, and Academy Award winner Christopher Gilman (Technical Achievement Award 1991). Christopher also is well known for designing Whitney Houston’s clothes in the movie “The Bodyguard”. 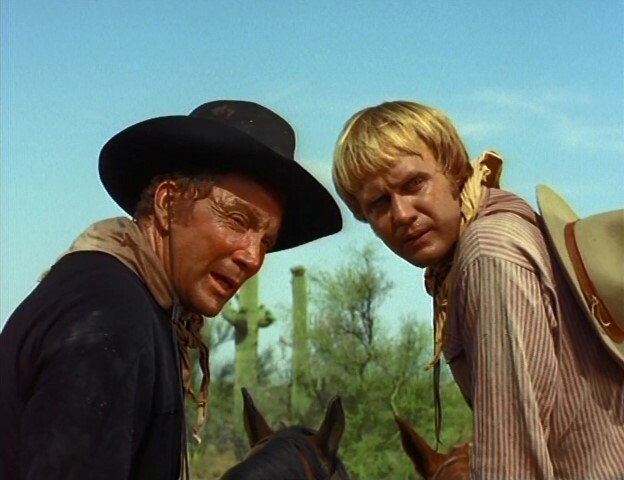 Also present was Ed Adams, who has made so many films it would be impossible to list them all (Ed and Grant were both in “Flashpoint” with Mark Slade), as Eli Cutter the leader of the bandits. There were many more talented professional stunt people in this group and all of them were modest about their achievements. Their abilities made the show possible in only hours instead of the weeks involved in a show this big. Also, the people behind the scenes, the “Techs”, made this show come to life with musical soundtracks and explosions. The biggest honor for us all was working with Jack Young. At 86 he is in better shape than most people his age. This is remarkable considering how many injuries he suffered over his career. After stunt work Jack became involved behind the camera. We both laughed when I reminded him how I blackmailed him into getting me a part on “Cannonball Run II” by finding his home address and threatening to send other actors over if I didn’t get a part (I got a part where Jackie Chan threw an orange at me in a fight, but it was deleted). I never in a million years thought I’d ever be in a show with Jack Young. On the day of the show, we all met at a 6 am rehearsal call to practice before the park was opened. There were many more legends in this crew and even those of us who didn’t go as far in the movie business as the others were all professionals and knew our parts well. The crowds for the shows were overwhelming. Old Tucson was filled with not only family and friends of us actors but many tourists as well. The shows went off great and everyone enjoyed them, but maybe not as much as we who were performing again after all these years. After the show, Jack was presented with the first special badge made for the event. It brought tears to many of our, and the audience’s, eyes. At the end of the day after performing two special packed shows, we all celebrated with a fun party and dinner in the Old Tucson saloon. I hadn’t been back to Old Tucson since before the fire, and I think it looks great and you sure can’t beat their hospitality. The next morning I had to be on a plane to Fort Worth at five AM. My few death scenes and gunshot reactions took their toll, I was sore and had trouble moving (of course I was stuck in a center seat in economy the whole way! Getting old stinks). But I would have never missed working with my old friends and some new ones, for anything in this world.